Part# 23343359. 2012-2015 Buick Regal. 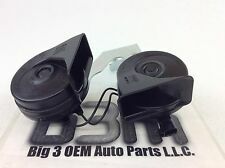 New GM OEM Dual Horn. 1969-1972 Chevelle. Genuine GM Used Powder Coated Wood & Sport Steering Wheel Hub. Genuine GM Used Steering Wheel Adapter Hub. 1969-1970 Camaro. 1969-1972 Nova. 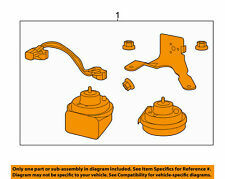 GM Part Number In Hub. Application: Wood & Sport 3 Spoke Steering Wheel. Buick Regal. Chevrolet Impala. Chevrolet Malibu. Buick LaCrosse/Allure. OEM parts are made of Thick High Quality Materials and will fit your vehicle perfectly. We have more than 15 years of OEM parts experience. Used original black impala, Caprice steering wheel. Removed from 1966 Caprice. horn ring has pitting. 83-87 GMC CHEVROLET IMPALA CAPRICE CABALLERO VAN DURA OEM STEERING WHEEL NICE!!! THIS GENUINE OEM CHEVROLET STEERING WHEEL WILL FIT SEVERAL DIFFERENT MODELS FROM THE 1970's and 1980's. NOTHING MAJOR! THE TEXTURE STILL LOOKS PRETTY GOOD! WORN SMOOTH IN A FEW PLACES BUT NOT BAD. GREAT FOR A ORIGINAL DRIVER. REMOVED FROM A 2007 CHEVY IMPALA. 2006-2008 CHEVY IMPALA - w/leather, ebony. THIS steering wheel with horn button IS IN OVERALL excellent USED CONDITION, and operates as intended! MATERIAL: LEATHER. THERE IS ALMOST NO WEAR except normal daily wear to the leather. Picture is a representation of the similar item. Chevrolet Impala 2009-2010 Leather, LS, LT, LTZ & Police, Black. Chevrolet Impala 2009-2009 Leather, SS Model, Black. VEHICLE MODEL: Impala. PART # OR VEHICLE MODEL: Impala. Description: Item Diameter: Approx.38cm/14.96" Item Weight: Approx.180g Color of Steering Cover: Beige Color of Line: Beige used in: most of car Material Type: cowhide Included: 1 X Steering Wheel Cover 1 X Sewing Lines 1 X Sewing Needles. Soft, skid resistant and massage your palm to relieve drive fatigue. 1 Silicone Steering Wheel Cover. 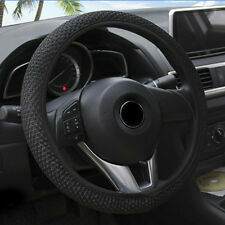 Switched up the interior of your car with an updated look of snake pattern steering wheel cover. This cover has the elasticity to fit any steering wheel in cars, vans, trucks, and SUVs. Silicone Dash Mat. 1 Silicone Steering Wheel Cover. Switched up the interior of your car with an updated look of snake pattern steering wheel cover. Silicone products approved by FDA, SGS, and LFGB. The world of auto decoration. 1978-87 CHEVROLET CAPRICE CABALLERO IMPALA VAN DURA OEM STEERING WHEEL RARE! THIS GENUINE OEM CHEVROLET STEERING WHEEL WILL FIT SEVERAL DIFFERENT MODELS FROM THE 1970's and 1980's. As shown in the Pics, THIS OEM STEERING WHEEL IS INVERY GOOD CONDITION, WITH MINOR WEAR FROM NORMAL USE. Compatibility list is just that, a GUIDE. THIS GENUINE OEM CHEVROLET STEERING WHEEL WILL FIT SEVERAL DIFFERENT MODELS FROM THE 1970's and 1980's. THE TEXTURE STILL LOOKS PRETTY GOOD! Trending at $18.73eBay determines this price through a machine learned model of the product's sale prices within the last 90 days. "Standard Horn --. Condition : New. Therefore all implied warranties that may apply to your part are limited to the duration of this written warranty. Each warranty gives you specific rights, and you may have other rights which vary from state to state. 64 1964 CHEVROLET CHEVY IMPALA ORIGINAL STEERING WHEEL VINTAGE. Condition is Used. It does have cracks, see pictures please. The color is teal to a turquoise green, depending on lighting some color is wearing of, please see pictures or contact me for more information. No returns. I accept only PayPal. "Standard Horn --. Therefore all implied warranties that may apply to your part are limited to the duration of this written warranty. Each warranty gives you specific rights, and you may have other rights which vary from state to state. IMPALA 2013. Make / ModelCHEVROLET IMPALA. No labor warranty is provided. This is a blue steering wheel from a 1976 Chevy Monte Carlo that I parted out. Be sure to check out all my auctions, thanks. 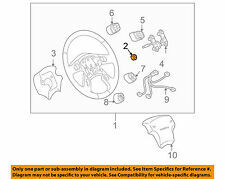 "Standard Steering Column Housing Repair Kit --. Quantity sold : Kit. Therefore all implied warranties that may apply to your part are limited to the duration of this written warranty. Each warranty gives you specific rights, and you may have other rights which vary from state to state. 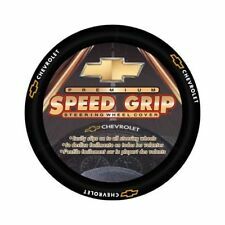 CHEVROLET IMPALA [STEERING_WHEEL] 2006. Model: IMPALA. This leather steering wheel is in good condition. See photos. Year: 2006. The item in the picture is the exact item you will receive! 2014 - 2015. Chevrolet Impala. Chevrolet Malibu. Chevrolet Malibu Limited. w/ Dual Electronic Horn(U08). OEM parts are made of Thick High Quality Materials and will fit your vehicle perfectly. We have more than 15 years of OEM parts experience. 2 X Sewing Needles. Item Type: Steering Wheels & Steering Wheel Hubs. Color of Steering Cover: Black; Grey; Beige; Brown. 1 X Steering Wheel Cover. Color of Line: Black; Grey; Beige; Coffee; Red. Material Type: Artificial leather. Switched up the interior of your car with an updated look of snake pattern steering wheel cover. 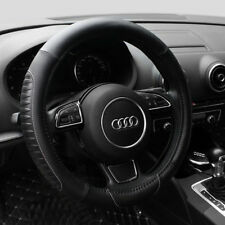 1 Silicone Steering Wheel Cover. This cover has the elasticity to fit any steering wheel in cars, vans, trucks, and SUVs. I FOUND THIS STEERING WHEEL AT A LOCAL YARD SALE. 1970-1977 CHEVY'S. ITS RED IN COLOR. IT HAS THAT FAMOUS OLD SCHOOL STEERING WHEEL WRAP ON IT. I HAVE NOT TAKEN IT OFF TO VIEW THE UNDERNEATH. I THINK IT LOOKS GOOD WITH IT ON. Hi, up for sale is a black Chevy 2- spoke steering wheel with horn pad. Could also use a light cleaning. Up for grabs is. This was used but is still very nice shape. The rim is clean with No crack. there is a couple minor flaws but overall looks good. Chevrolet Lumina. Chevrolet Impala. Chevrolet Impala o. 2000, 2001. 1994, 1995, 1996, 1997. 1995, 1996, 1997, 1998, 1999, 2000, 2001. Hi, up for sale is a dark blue Chevy 2- spoke steering wheel with horn pad. DUSTY/DIRTY BUT COULD BE GREAT. in this house is a century of old antiques, classics, and auto parts. LKQ SKU: LKQ771 ~155068941 SWHUNK. We do our best to prevent these issues from happening and apologize for any inconvenience it may cause. Vehicle Year: 2014. Vehicle Model: Impala. Part # or Vehicle Model: Impala. Hi, up for sale is a black GMC 2- spoke steering wheel with horn pad. The horn pad is also missing the thin trim piece that goes from end to end. I would still say it looks to be in good overall condition considering its age and looks to be all original. As a proud Chevrolet Impala owner, you know the thrill of getting behind the wheel of your vehicle every single time. A steering wheel can set the foundation for many more happy miles ahead while also providing that confidence and control that you've come to expect from your Impala. What types of steering wheels and horns are available? Wood-grain: Try an upscale look with a wood-grain cover. Leather with custom stitching: Add a rally-inspired look to your Impala with a kit that encapsulates the entire wheel in a leather cover with contrasting stitching. Leatherette: This leatherlike material is durable and easy to clean. How do you replace the horn in a Chevrolet Impala? When you need to replace the horn in your Impala, you first want to ensure that you select the correct replacement. Whichever one you choose needs to be compatible with the existing mounting bracket and electrical connection on your horn. When you receive your replacement horn, follow these steps to replace it. Pop the hood and remove the clips holding the passenger's side headlight in place. Slide out the headlight, and either disconnect it or set it aside on your bumper. Disconnect the power to the horn, and use a 10mm socket to remove it from the vehicle body. Remove the old bracket if your new horn is not equipped with one and install it on the new horn. Install the new horn by tightening the bolt, reinstalling the electrical connection and the headlight. Test for proper operation using your key fob or physical horn button. How do you replace the wheel on a Chevrolet Impala? If you need to replace the entire assembly, you must ensure you have the correct tools, the most important of which is the puller. These pullers are manufacturer-specific, so you must ensure you have one made for an Impala. Remove the trim on the steering column. Open the trim in front of the air bag, then remove the air bag by opening the clips located behind the assembly, then disconnect the electrical connection to the air bag. Remove the bolt holding the assembly on, put in the J-hooks for the puller, and pull up on it. Disconnect all remaining electrical connections and remove the assembly. Reverse the process to install a new wheel.